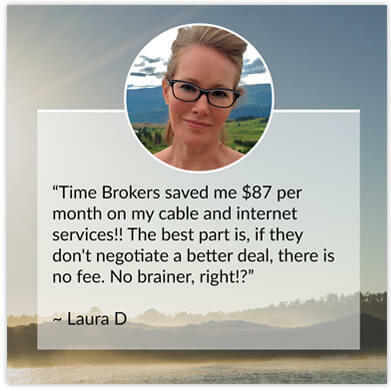 Time Brokers saves its clients time and money by negotiating cable, internet, and landline bills with a client’s service provider, with the aim of a securing a discount. During the branding process, we created the phrase, “We create time and money”. This phrase serves as a touchstone for all marketing materials and future offerings, keeping stakeholders reminded of the core brand promise. The reminder that time is an important commodity is reflected in the visual identity, where a clock has been built into the Time Brokers wordmark. 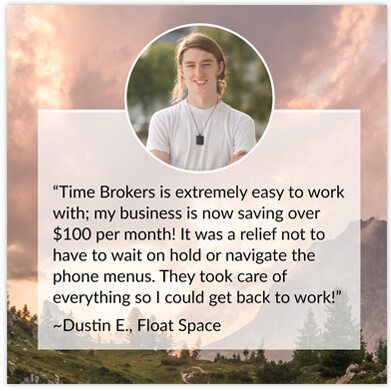 In addition to securing discounts, Time Brokers is equally focused on saving its clients time. 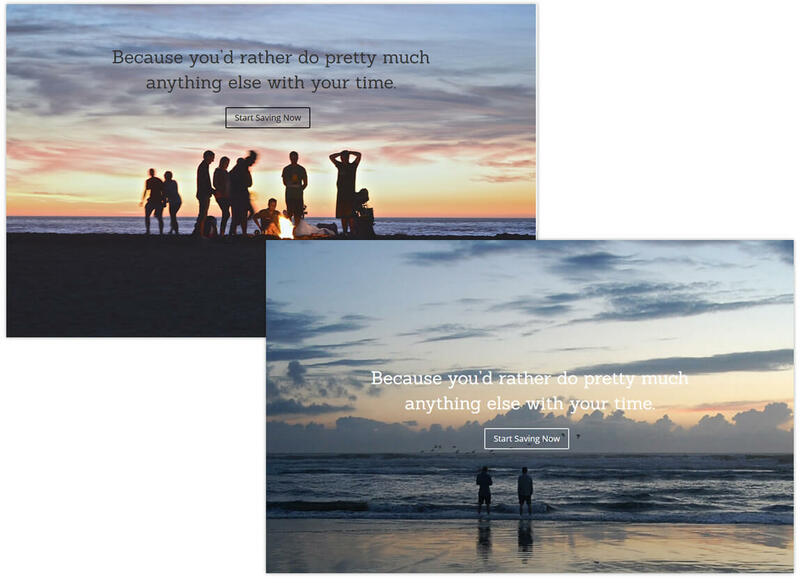 A question that is asked is, “What else could our clients be doing with their time?” To that end, the visual system is focused on imagery of environments where potential clients can imagine themselves, away from the hassles of technology. 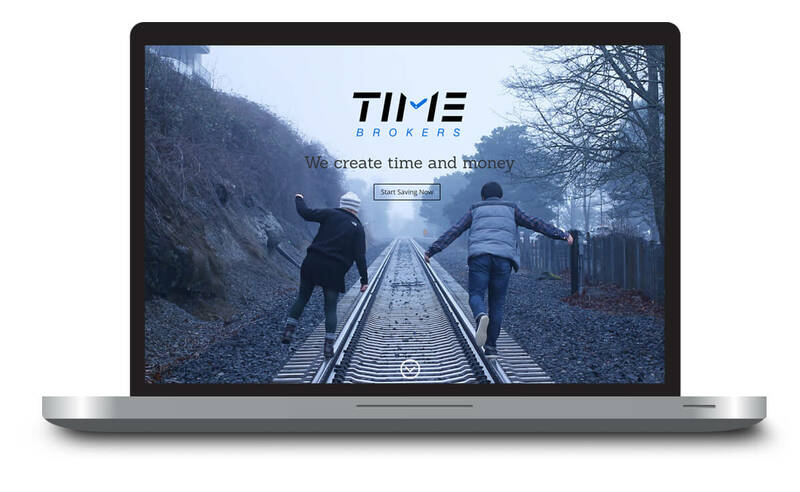 Time Brokers has an active presence on social media, and encourages personal recommendations. 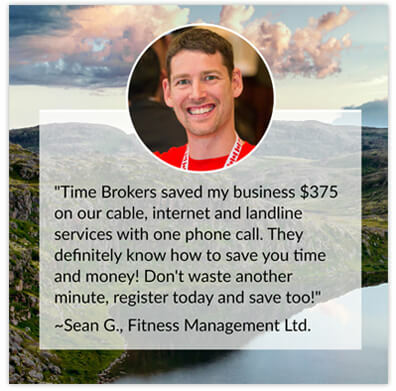 We designed a series of social media testimonials, mimicking the look of the site while putting the focus on the individual clients. When I started my first business I didn’t know the first thing about branding – I thought all it consisted of was a logo; boy was I wrong… I made all the classic beginner-entrepreneur mistakes and I was definitely in need of help. From day one, Linsey was extremely easy to work with; mostly due to the fact that she was totally patient with me and very willing to teach me what I knew almost nothing about. She came in and instantly gave our company a credible visual identity and took over the reins as Creative Director. From that day forward, that entire headache was off my plate and in immensely capable hands; you have no idea how valuable that is until you do it. In the 2 years since, the compliments I’ve received from the public and customers have multiplied by 10 times! Hiring Linsey was the best decision I made for our company. So when I started my second business, I knew there was only one person I would trust with my next baby. Right from the beginning she worked with me to develop a complete brand strategy, and launched every component that was necessary. Better yet I know she will be there for other components as we’re ready to create them. I would, and regularly do, recommend LV Creative to anyone who needs full service branding and design. 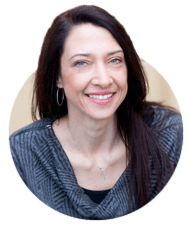 If you’ve got an idea you want to share with the world, Linsey is definitely the person to help you do that with professionalism, creativity and reliability; all while applying the critical thinking my companies need! Wondering if something you see here might work for your project? Contact me about ways to work together.